You guys asked for it, I gave it . This is a bunch of memes from fnaf 1-4 maybe even some sister location memes will be in there. But you'll never know unless you read it! A Five Nights at Freddy's zodiac book to entertain you. Includes all FNaF games and nightguards. Hope y'alls enjoy, cause I'm gonna keep updating. memes from fnaf 1-S/L! You will enjoy this! I have seen tons of these and I get the feeling that I should at least do some of these on my profile. 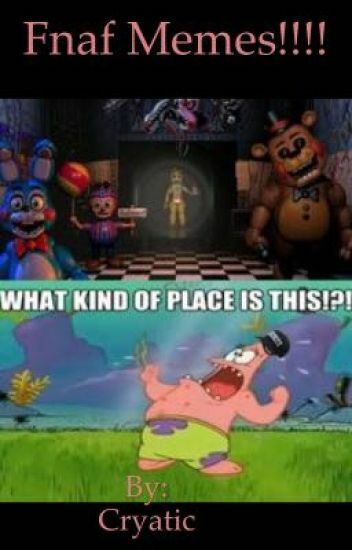 Plus I just love Fnaf. I really hope you guys like this book especially those who are afraid of Fnaf, I hope this book will left your spirits and let you laugh your fears away....hopefully. Well I decided that I wanted to make my own funny, but sometimes true, fnaf memes. I hope you all are ready for Freddy. I have finally made a second book !